Let’s face it, our cars cost us a huge amount of money. Not just with the initial purchase, but with ongoing maintenance, wear and tear, insurance and gas. I haven’t even touched on when the radiator starts to leak or a head gasket blows. 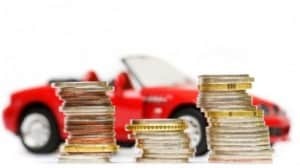 As a result of the expenses related to our cars, it’s important that we find ways to save money on car expenses every way we can. Here are five tips to help you save money on car expenses. How in the world will this save us money? Easy, the slower you drive, the better mileage you get. The better mileage you get, the less gas you use, meaning you save money. I’m not saying you have to drive 40mph on the highway either. Slowing down to 60 or 65 will do the trick. As for those of you saying that you have to drive faster to get to where you are going, in the short-term, it doesn’t matter. Think about it: if you are driving somewhere close by, driving faster by 10mph is only going to get you there a few minutes quicker. Are the increased costs associated with faster driving worth it to save maybe 5 minutes? I doubt it. Keeping your car clean will go a long way is saving you money. The sooner you can get dirt, road salt and bird droppings off your car the better. The less of these contaminates your car’s paint has to deal with, the better. Wash your car at least monthly and wax it twice a year. Doing this will help protect the exterior and make the shine last much longer. This will pay off in the end when you go to sell or trade in the car, allowing you to get a higher price for it. I was with the same auto insurer for over 15 years. I used the agent that my parents used. After a few years of having my premium increase even though I wasn’t making claims, I started to shop around. I ended up finding comparable insurance for much less. A year later, I repeated the process. Getting a free insurance quote once a year only take 5-10 minutes of your time but can save you hundred of dollars a year. That is more than worth it. One great option to look into is TheZebra. In your owner’s manual, it tells you when you should service your car. This isn’t optional. By performing routine maintenance on your car, you will extend the life of it. When it is in getting its oil changed or other service, the mechanic has the chance to see if there are any issues that might become costly in the future if you don’t fix it now. Of course, there are two caveats to this: the first is that you need to find and use a mechanic that you trust. There are many out there that are just trying to make a quick buck. Secondly, performing routine maintenance on your car isn’t going to ensure you never have a problem. Far from it. But performing routine maintenance will ensure that your car performs at its peak, which translates into fewer expenses for you. The easiest way to save the most money is to simply buy a reliable car. Honda and Toyota tend to be the class leaders in this regard. By making sure you are buying a reliable car, you lessen the likelihood of sinking more money into it every year. If you find a great used car, be sure to have your mechanic check it out to make sure it is in good condition. The last thing you want is to buy a car that has all sorts of issues with it. Cars cost us lots of money over their useful lives. Save money on car expenses by following the tips above. Your car is still going to cost money even following these tips, but the costs will be less than they would be if you don’t follow them.